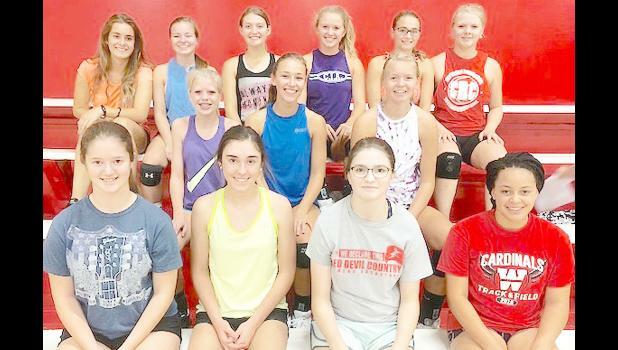 Members of Wetmore High School’s 2018 volleyball team include, front row, from left: Haley Murrow, Kenzie Strathman, Taylor Fillmore and Campbell Brown. Middle row, from left: Abby Shumaker, Alyssa Bloom and Reagan Osterhaus. Back row, from left: Francesca Damonti, Lane Strathman, Ashley Flowers, Madison Boeckman, Savannah Bryant and Shayla Ball. Not pictured: Rachel Vandiver.